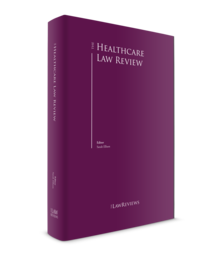 The universal issues currently occupying the healthcare sector are reflected throughout the Law Review, primarily how and how much to pay for healthcare. The growing healthcare expectations in all economies, the increasing life expectancy and the modern world chronic illnesses of obesity, diabetes, heart disease and dementia are placing huge challenges on the systems. Governments the world over are trying to put in place payee models through taxation, but more often through insurance, to meet these demands. We see these issues being debated from the new insurance schemes in the Middle East to the questions around Medicare ("Obamacare") in the U.S and the UK's problems with an overspending/underfunded NHS. Another hot topic is ehealth and the tension between the belief that physical, in person, consultations are best and the growing potential of AI, mining big data and clearly out performing the individual healthcare professional and supercharging the potential for some devices. How do we harness the best of both worlds and will regulation adapt to support the delivery of healthcare across national borders, as technology now permits? Linked with this is the growing potential of health and wellness Apps to provide data to healthcare services but residual doubts about interoperability and its real usefulness. A final hot topic is consent, data and candour What patients have the right to be told, how this informs consent and the expectation that healthcare scandals will no longer be covered up. Many jurisdictions are having these difficult conversations about their recent past and are reviewing how they will meet the demands of populations hungry for facts, uncertain about electronic universal medical records and assertive about the use of their personal information. By and large many of the legal developments are domestic and impact primarily on domestic patient populations. In Europe Brexit will undoubtedly impact on the UK, it's citizens living in the EU and EU citizens in the UK. Longstanding reciprocities and mutual recognition of professionals, as well as rights to treatment may all disappear, or will have to be renegotiated. As mentioned above, subject to regulatory constraints, there are increasing opportunities for healthcare to be delivered on a more global basis and with increasing collaboration. Middle Eastern countries are putting in place more sophisticated regulatory frameworks and laws perhaps seeking to ensure their international workforce and multinational patient populations feel reassured and confident about the delivery of care. 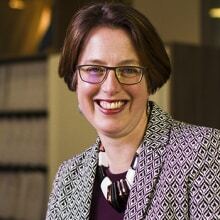 Finally as laws change, particularly around regulation, and perhaps procurement, we see flux and movement as to the "best" countries in which to pioneer new types of healthcare, genetically profiled personalised medicine in the U.S., highly refined cost-curve bending care in countries such as India, or "three person babies" born after mitochondrial donation, now lawful in the UK but first reportedly done in less regulated Mexico. Innovation is being sought and delivered into healthcare services globally, so now is the time to be working with or for pioneering healthcare businesses; bidding for new contracts and offering much sought after metrics such as keeping people well, supporting people to stay in their own homes rather than escalating the care pathway, and reducing hospital admissions or the length of stays. Money is tight and cost saving pressures are ever present. In parts of the world this will impact on some of the large healthcare infrastructure projects, however many countries are still in build mode and most still require restructuring support. e-Health is set to continue its rapid growth with challenge and opportunity coming from working with altered boundaries and across borders. Whether working to advise providers, commissioners or regulators this is pioneering and exciting work. Merely keeping up with healthcare laws and practice around the world is probably one of the greatest challenges.